Having trouble hearing the waitress speak at your favorite restaurant? Think women’s voices are more distorted than men’s? Teetering on the edge of complete hearing loss looms “high frequency hearing loss.” It sounds imposing and scary, but what exactly is it? Sometimes called “partial deafness,” high frequency hearing loss happens when there are limited or damaged hairs in the cochlea. High frequency sounds, like a shrill scream, are perceived in the bottom of the cochlea, while the reverse is true of low frequency sounds, like thunder. Who Experiences High Frequency Hearing Loss? Interestingly, men experience high frequency hearing loss more often, while women experience low frequency hearing loss more often; however on the whole, high frequency hearing loss is more common. A report done by the National Institute of Health showed that fifteen percent of Americans falling in the age range of 20 to 69 experience high frequency high frequency hearing loss due to their own detriment, proving that hearing loss is not just hereditary or age-induced. If you are unable to hear niece’s high-pitched giggles as well as the drum roll of timpani, you may be experiencing high frequency hearing loss. Take this fun quiz to see which frequencies you can hear. The regular culprits loom: over exposure to loud sounds, head trauma, aging. But are there any particular doozies for high frequency hearing loss? As we age and lose more hair, the hairs in the cochlea may too die off, causing hearing loss. Other causes include diabetes, benign tumors, inflammation of the middle ear, and infection. While many of these causes are genetic or age related, you can still work to protect your hearing. It may be too late to protect your ears from the damage of loud sounds, but there are several roads you can go down to bring back the hearing you lost in artificial ways. One example would be electro-acoustic implants. This is an option for those who cannot be helped with a hearing aid. These implants are placed inside the ear where an external sound is converted into electrical energy and sent into an electrode in the cochlea. The combination of electrical and acoustic prompts is sent to the brain to comprehend. Low frequencies bypass the electrical system in place and are sent directly to the brain. Hearing aids are still an option, but must be specifically fitted to the individual. Ones with a more open canal path help with the distinction between low and high frequency sounds. 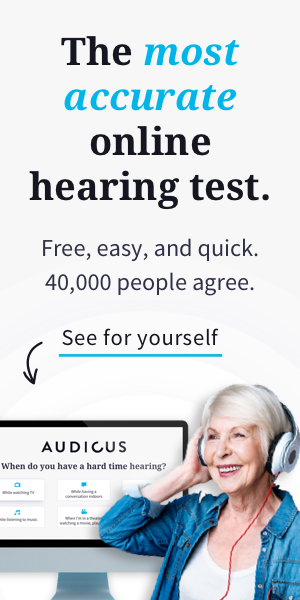 If a proper hearing test is not conducted, the hearing aids given may over amplify the low frequency sounds to the point where hearing yourself talk can be distracting. You can take the standard steps to protect your hearing daily. If you ever feel ringing in your ears or have difficulty talking over a sound, you are probably in an environment that is too loud for your hearing. By wearing hearing aids or limiting you exposure to these loud sounds, you can stave off the effects of high frequency hearing loss as long as possible! Thats because we are not capable of it. Dogs can. Humans rang is from 20hz to 20khz. 8khz can heard by humans very clear.